[UPDATE] Toilet review: How gross is that toilet? For many of us the bathroom is a measure of the hygiene in an establishment. 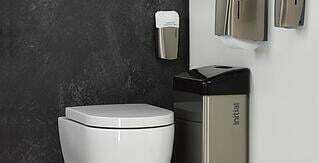 How do you know your bathrooms have ticked all the boxes for hygiene and cleanliness? Should I dispose of medical waste differently to sanitary waste? Food safety: Gloves on, or gloves off?